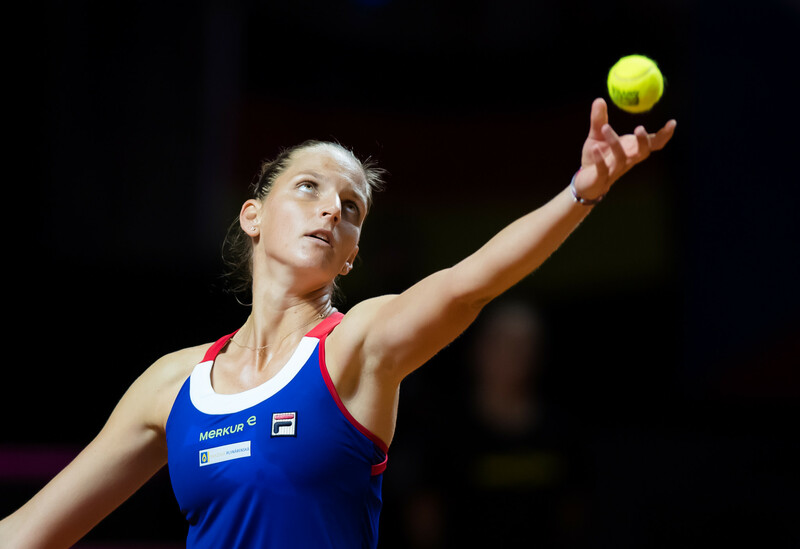 Already on the second weekend in February the Czech Fed Cup team will face Romania. Following her return from Australia Karolína is again ready to fight for the Czech colors. Karolína has traditionally been the Czech team’s mainstay and has represented the Czech Republic in nine ties since 2015. Her record so far is 10 victories out of 14 matches. In 2015 and 2016 she was a member of the winning team in the final. That’s also why she doesn’t want to miss the tie this time either. “I’m really looking forward to the Fed Cup tie in February. Unfortunately I missed last year’s final due to my illness and injury, so I’ll try to help our team qualify for the final this year as well,” said Karolína. Romania sends their best possible team to Ostrava. “Simona Halep’s coming too, so it’s going to be a big battle! But the atmosphere has always been amazing in Ostrava and last time we beat Spain there,” Karolína added. Besides the former world number one, Simona Halep, the Romanian team also includes the world No. 28, Mihaela Buzarnescu, Irina-Camelia Begu, Ana Bogdan and Monica Niculescu. All five Romanian players are in the top 100 of the world ranking.